Stampin'Up has a fun bundle called the Window Shopping Bundle #144743. 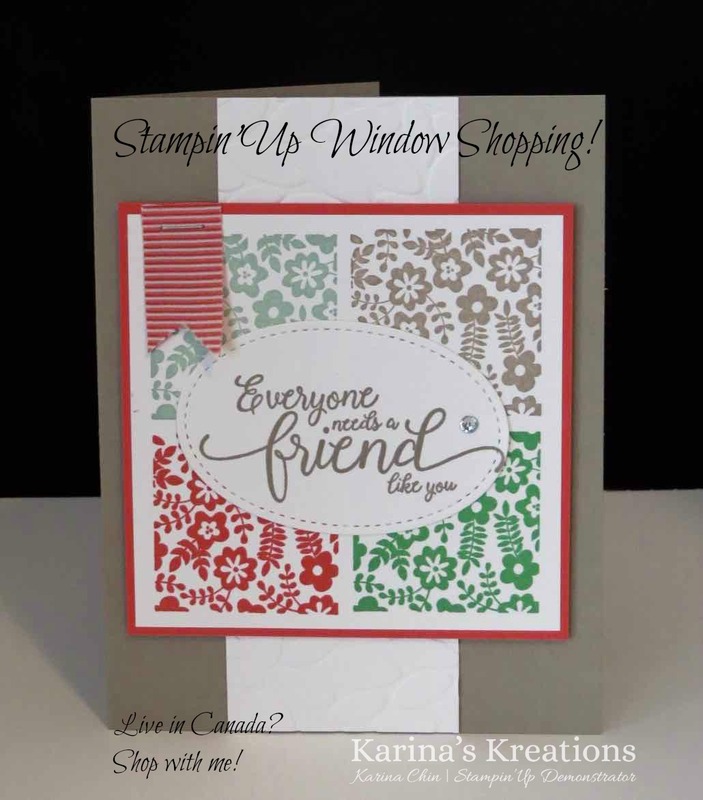 It includes the Window Shopping Stamp set #143265 and the Window Box Thinlit Dies #142762. The boxes are super cute but I wanted to make a card with the stamp set today. 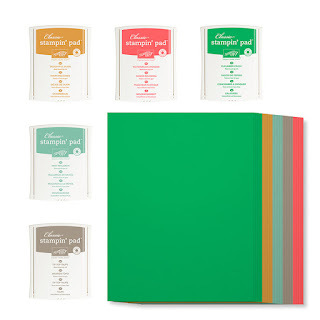 I used the Retiring In-colos Mint Macaron, Tip Top Taupe, Watermelon Wonder and Cucumber Crush on my card. If you need ink pads, Ink refills card stock or ribbon for these products you must order by April 9! The retiring list comes out April 10 and they might be gone.